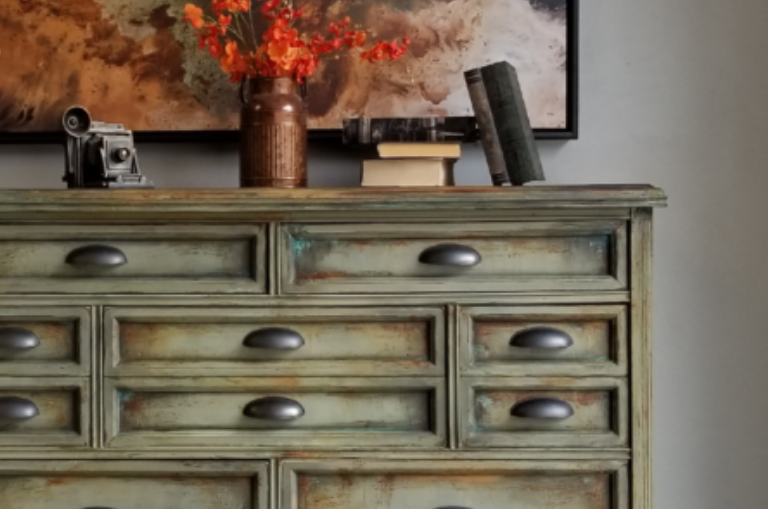 This grungy green and rusty chest was so much fun to create! This Basset mule chest was rather unremarkable, but I picked it up for $15, solid wood, and in relatively good condition. I kept this in my inventory for some time, with no takers, so it became mine to play with. First, I cleaned with White Lightning. 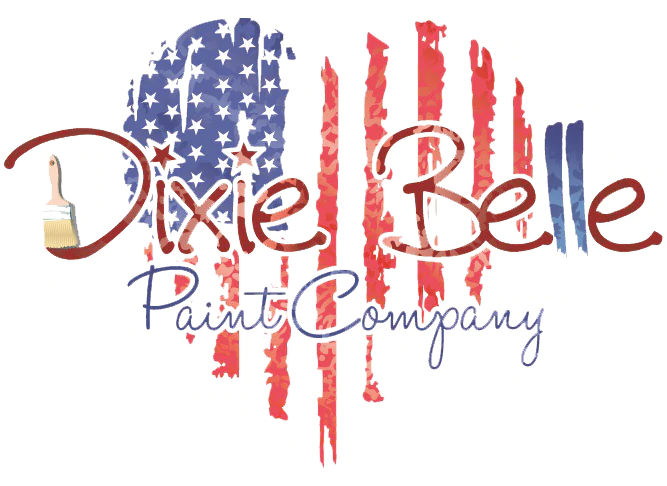 This is such an important step for painting projects! With all of our prep work done, the body got a base coat of Spanish Moss. 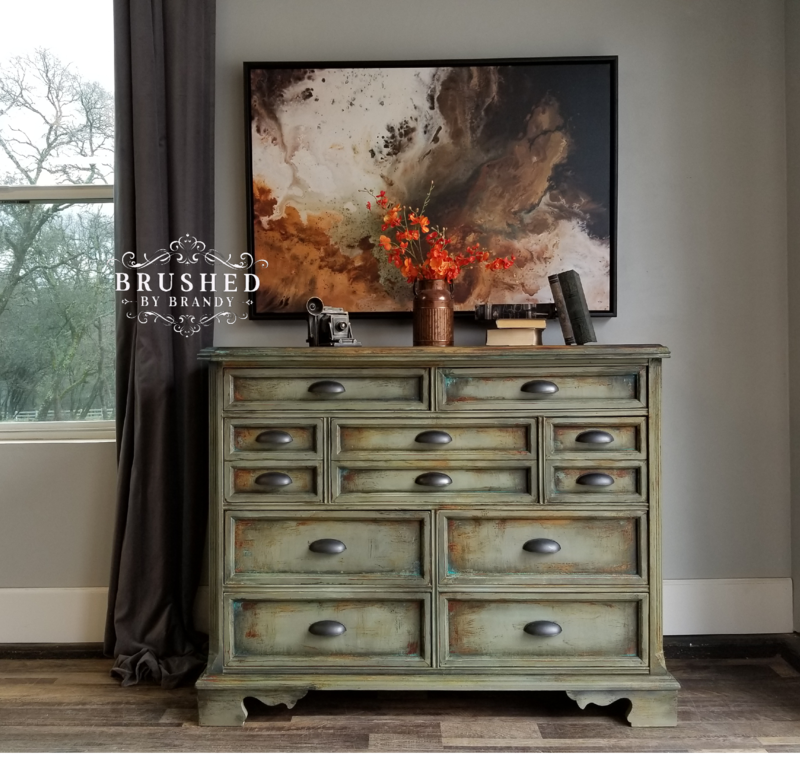 I then used natural bristle brushes to blend in Dried Sage, Collard Greens, Sand Bar, and Midnight Sky. I applied the Patina Paint in Iron and Bronze at random. 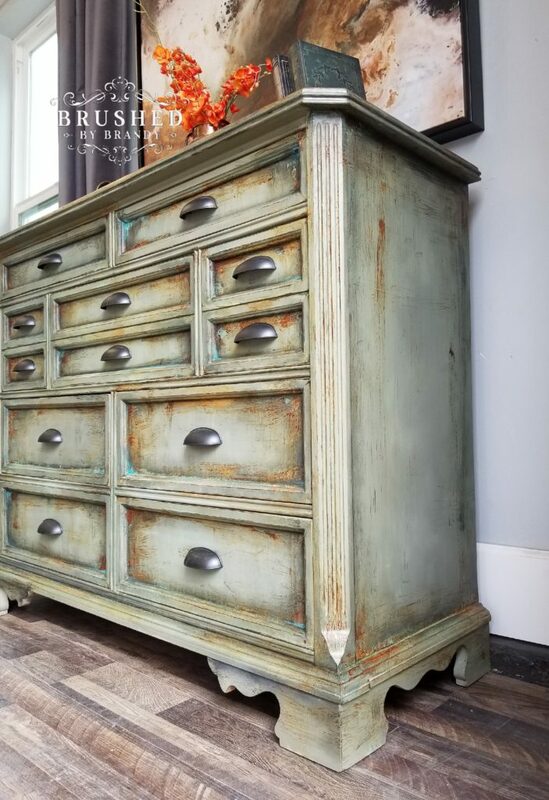 The Blue and Green sprays with the second coat of patina caused dropping and started the corrosion process. To read the full tutorial of this piece, click here! Brandy is the owner/artisan at Brushed by Brandy in Sacramento, CA. She is a stay at home mom, blogger, and social media personality. 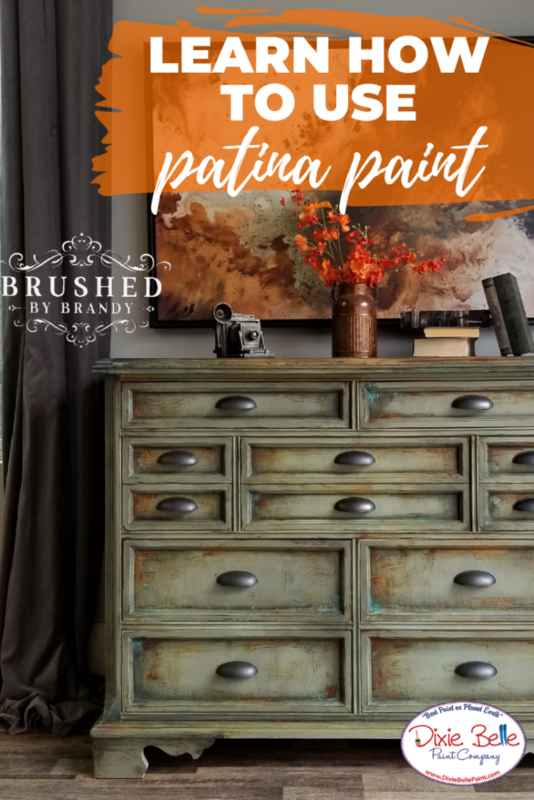 Brandy’s style is smooth and blended, colorful statement pieces for the home. Her work has been nationally recognized in several design competitions.